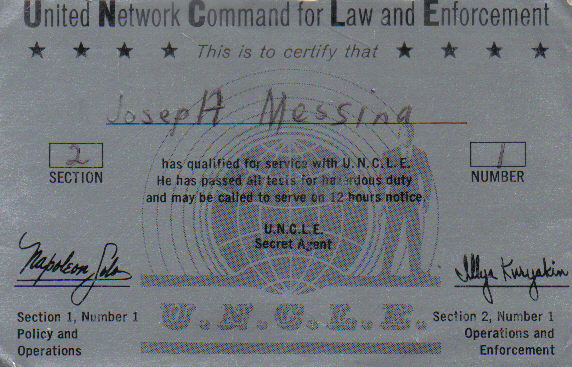 Membership card sent to young fans of “The Man from U.N.C.L.E.” so they too could be Secret Agents. 43 years ago tonight, on Monday, January 15, 1968 America said goodbye to two of its favorite spies when the last episode of “The Man from U.N.C.L.E.” aired on NBC. 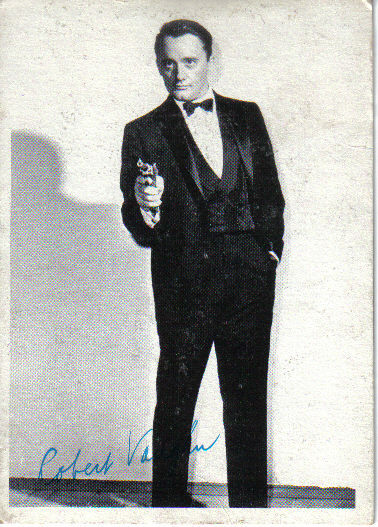 Trading card featuring Robert Vaughn as Napoleon Solo. The reverse side is part of a puzzle. For four seasons Robert Vaughn and David McCallum starred as American spy Napoleon Solo and Russian spy Illya Kuryakin; both secret agents from the United Network Command for Law and Enforcement (U.N.C.L.E.). 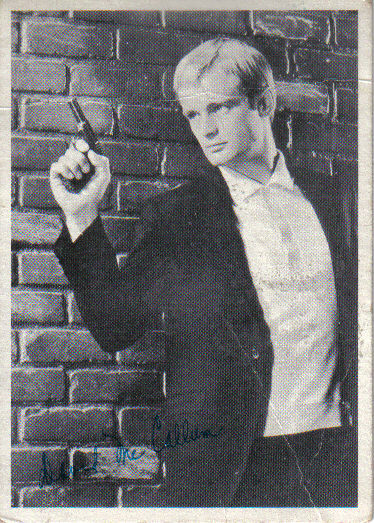 Part of the same card series featuring David McCallum as Illya Kuryakin. Together, they battled the forces of evil – especially their counterparts at THRUSH. 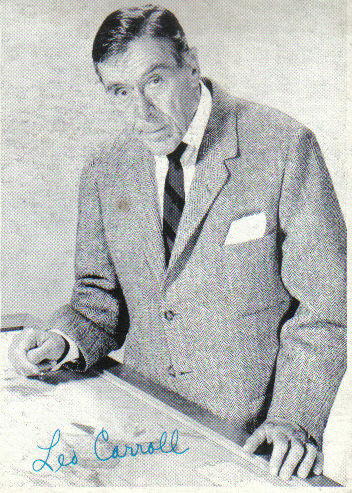 The show also starred Leo G. Carroll as their boss Alexander Waverly. Trading card featuring Leo G. Carroll as Alexander Waverly. Return to RaisedByTV.com next week, on January 22, to find out which wacky program replaced “The Man from U.N.C.L.E.” on NBC’s schedule.